At TEMPUR, we believe that sleep is essential for your health and wellbeing, so why not give yourself the best sleep possible? Once you have slept on a TEMPUR® bed, mattress and pillow, you will realise that there is no turning back. TEMPUR (Malta) beds, mattresses and pillows are available from Boris Arcidiacono Ltd, the leading designer bedding and bedroom outlet in Malta. What if your body felt so perfectly relaxed, almost as if you were floating? TEMPUR mattresses conform and adapt to the exact shape of your body and support you in a way that makes you feel weightless. The unique TEMPUR material is soft where you want it, and firm where you need it™. You can find your most comfortable position and are supported there perfectly, so you wake up ready for the day ahead. "Our story began when NASA developed a pressure absorbing material to cushion and support astronauts during the strain of lift-off." They needed an exceptional way of evenly distributing weight and pressure. This unique material later became TEMPUR. Since then, through further research and development by our scientists and engineers, we have perfected and extended this technology to create a collection of mattresses and pillows that give you your best night’s sleep. 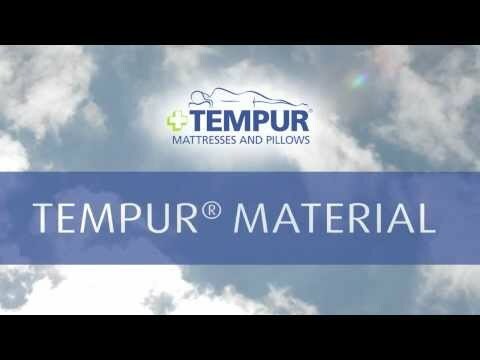 TEMPUR is the only mattress and pillow recognized by NASA and certified by the Space Foundation. Today, only a handful of top Tempur scientists know our proprietary formula to make TEMPUR material. We manufacture the material in our own production facilities in Denmark and the United States, never outside company-owned facilities. Each year, we invest more in research and development than any other mattress brand around the world to ensure that our technology continues to deliver the best sleep possible. Tempur’s R&D scientists and engineers tirelessly seek new product innovations and continually test existing products to ensure the highest standards of quality. Kindly visit the same products and personnel in Sliema.